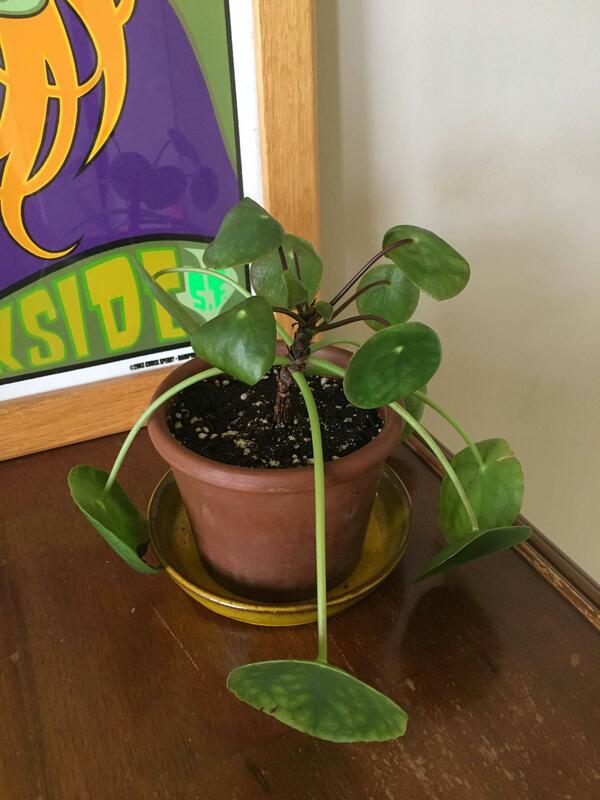 We're having a tough time with our Pilea. We were afraid that it had spider mites so my friend sprayed it with some kind of organic pesticide. Since then, it's been in shock. No progress on growth at all. It lost quite a few leaves and it appears to be quite droopy. It had a baby growing for awhile but it shriveled at the stem. The leaves never browned or fell off before, but it was only a matter of time. Now, I'm afraid the same thing is happening to the main stem. What should I do? 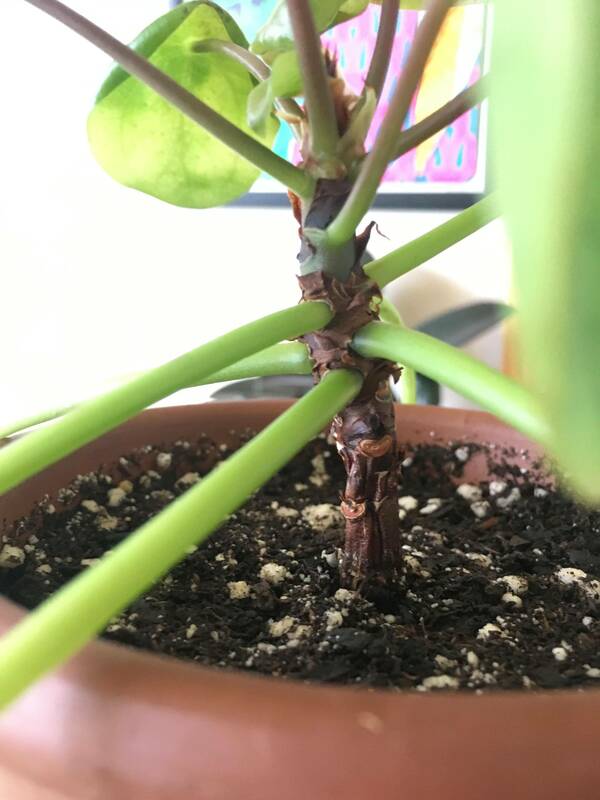 Is there any chance of survival if I propagate the main plant? Is that crazy? Please help! Judging by the height and thickness of the stem this is an old plant. The bottom of the stem looks like it is no longer sending nutrients up to the top. It is shrivelled, possibly due to root rot. The pot is way too big for the amount of foliage. I don't see any evidence of spider mites and have never seem them on this species. The usual problems seem to be present, not enough light, soil stays too moist. This leads to root rot which causes the sad leafs look. take razor or sharp knife and cut the stem where the leaves start. When the plant has enough roots transplant to a pot that is two or three inches in diameter and keep in high indirect light. Not the answer you're looking for? Browse other questions tagged houseplants plant-health propagation or ask your own question. What's wrong with my mango plant? New to houseplants - what's wrong with my chilli plant? What's wrong with my “sonic bloom” weigela? What's wrong with my banana tree? What's wrong with my Monstera deliciosa? What's wrong with my garlic? Overwatered or lacked nutrients? What’s wrong with my Dracaena Marginata?